Yes, it’s the Digital Age and many businesses may have already shunned the traditional marketing strategies and opt for everything online. 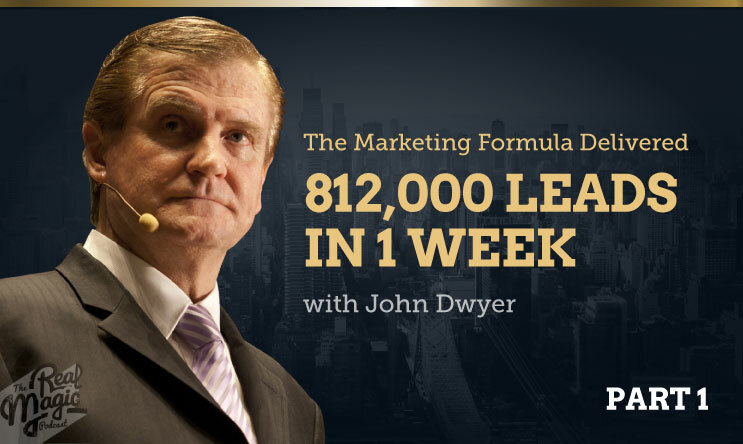 However, you may change your mind when you tune in to this episode where John Dwyer shares his ‘direct response’ marketing techniques on how to generate more leads using clever offline strategies combined with online strategies. (1:10) Who is this cheeky JD character, John Dwyer? (3:45) A quick overview of JD’s ‘WOW MARKETING ACADEMY’. (5:40) What techniques are currently being used by John Dwyer? (14:05) The 2-Step Sale Strategy to generating more leads. (15:00) JD’s take on why most business don’t collect data to build a list. (18:00) How to take advantage of the traditional marketing techniques. (21:55) Why you need to sell the ‘benefits’, not the ‘features’. (23:15) Important tips for getting the most out of your website. (25:45) What should you emphasize on your marketing strategies? (26:15) Are live events as effective as it used to be? Here’s a link to ‘Part 2‘ of this interview with JD.